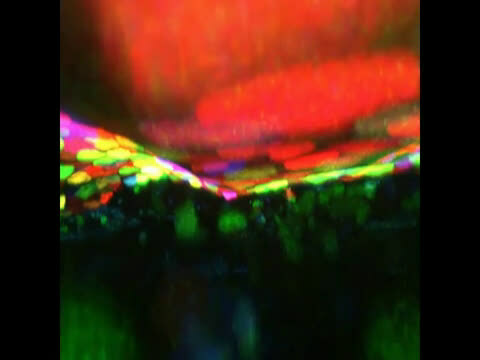 Every cell on the surface of the fish, from the center of the eye to the tip of each scale, is genetically programmed to glow with a slightly different hue. But these zebrafish weren't bred to brighten up an aquarium; the colors effectively stamp each cell with a permanent barcode, letting scientists track its movements in a live animal for days or even weeks at a time. "Before we can fully understand tissue regeneration, we need to be able to monitor what individual cells are doing," said Kenneth D. Poss, James B. Duke Professor of Cell Biology at Duke University and lead scientist on the team that designed the color-coding system. "This is a cutting-edge way to visualize hundreds or thousands of cells at once in a regenerating tissue." 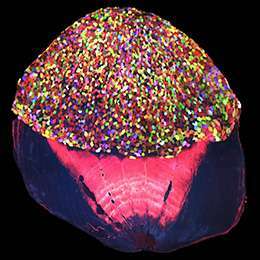 Skinbow's cells derive their technicolor hues from a technology called Brainbow, originally created to label individual neurons in the brain with distinct colors. 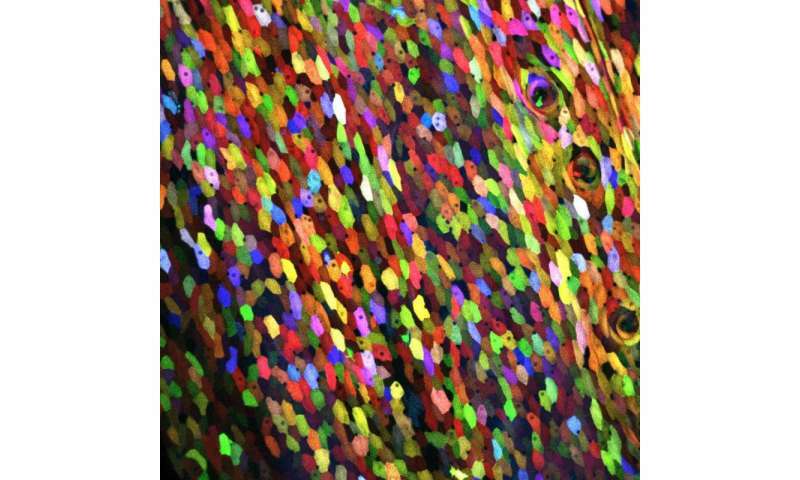 Skin cells in the Skinbow zebrafish randomly express different combinations of red, green and blue fluorescent proteins, resulting in over 70 hues that can be reliably distinguished under a microscope. These colors are only expressed in the outermost layer of skin cells, and remain permanent throughout each cell's lifetime. "It is like you have given each cell an individual barcode," said Chen-Hui Chen, a postdoctoral fellow in Poss's lab and lead author on the study. "You can precisely see how individual cells collectively behave during regeneration." The team also designed software to track individual cells in a series of images collected over time, allowing them to compile full "biographies" of many different cells at once. "These are quite different cellular mechanisms, and one would not be able to detect the sequence or the appearance of these mechanisms without being able to track all or most of the cells on the surface of the fin," Poss said. "This is a very powerful system to see how regeneration happens," Poss said.